There is something very personal about repairing or restoring a Trails system. You may not always get the chance to see the results, but rest assured, your efforts serve many, many people. Helping others to get access to different habitats, or go deeper into the Forest, is work that is some of the most rewarding. A few years back, I worked on a new Trails system at one of the Recreation areas. New Trails to remove the erosion the previous trail had been causing regularly. The following weekend, after we had completed this brand new section of Trail, we returned to do some clean up and trimming. As we passed through a Meadow the new Trail had been cut through, there sat a family of four. Mom & Dad and their two children running through the tall grasses of this very private Meadow. It was a scene out of a Movie. I will always remember this moment. This family had gone to a very private place, deeper into the Forest then they would have normally went, and showed their kids a private taste of this beautiful habitat. They would never had been there, if not for our weeks of work on rerouting what was originally, a bad Trail. Something I will NEVER forget. 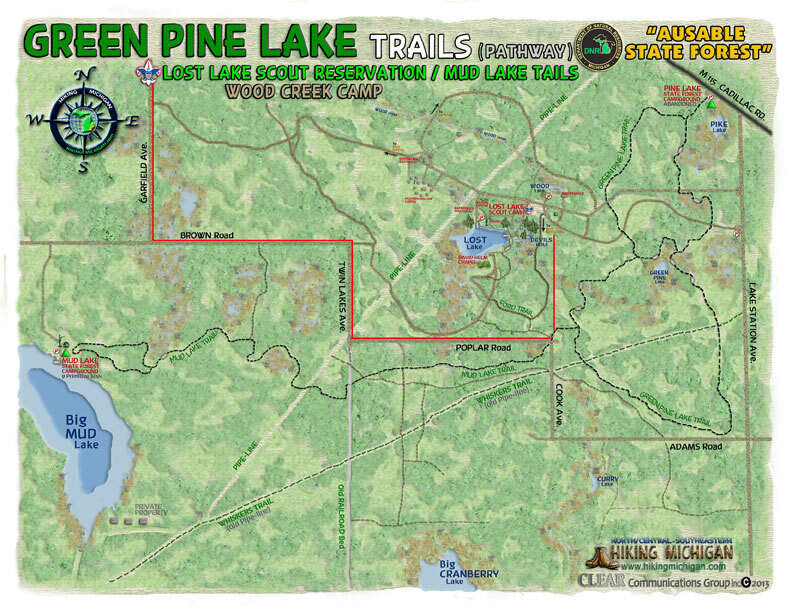 So…….Hiking Michigan North/Central director, Mark Wilson has been in working contact with Clare county Parks & recreation and the DNR, attempting to put together a combo effort at restoring what once was a very extensive Trails system at the Green Pine Lake Trails in the Ausable State Forest area. This Trails system was built by local Eagle Scouts, many years ago, and has fallen into disrepair, due to lack of maintenance. This Trails system is pretty extensive. Boardwalks, Bridges, intense signage, all created by who know how many Scouts, over how long of time period. But it was an amazing accomplishment for anyone. Mark thought that it was a shame to let all of this extensive Scout work just rot away. Boardwalks and Bridges, and even Trails reach a point of no return without proper maintenance. The Green Pine Lake Trails have gotten to the edge of that point. So between the reconnaissance work of Mark and Associate Hal, and then Ortonville Scout Master Jeff, these people GPS ed what they could in what remained of the Trails. In many cases, pushing their ways through deep overgrown Trails and Boardwalks. But they managed to GPS the loops there, and with Hiking Michigan’s help, create a Map of these lost Trails. 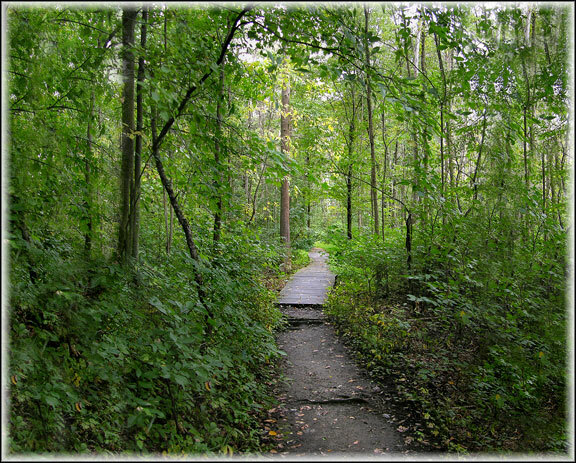 So here we are in 2013, and with some contacts and meetings with the DNR and local Clare county Parks & Recreation, Hiking Michigan’s Mark Wilson has managed to get a ball rolling in Trails restoration that hopefully will eventually restore the entire area Trails, to their once beautiful state. Phase 1 of these plans begin on Saturday, April 27th, 2013, at 8am – 4pm+. This first Phase will be initial clearing of the main Trails and some signage repainting. There will also be many notes taken for Map updates, features and foliage logging and analysis of future work needed to restore some of the damaged Bridges and Boardwalks. As I mentioned earlier in this post, there is nothing as rewarding as Trails work. And this restoration of the very hard work, done many years ago by our local Eagle Scouts, makes this Maintenance/Restoration work, even more rewarding. Besides the huge Thank Yous from fellow workers, and a bit of shinning you will get through the small News article and local mentions in NewsLetters and HM publications, your efforts will be that of Heritage work. You will have continued something that was about to fade away shortly, and made it something that your children will enjoy, along with the many, many others wandering into the area and down one of the Trails. These Trails interconnect to the infamous LOST LAKE Boy Scout Camp, right next door to this State Forest Trails system. 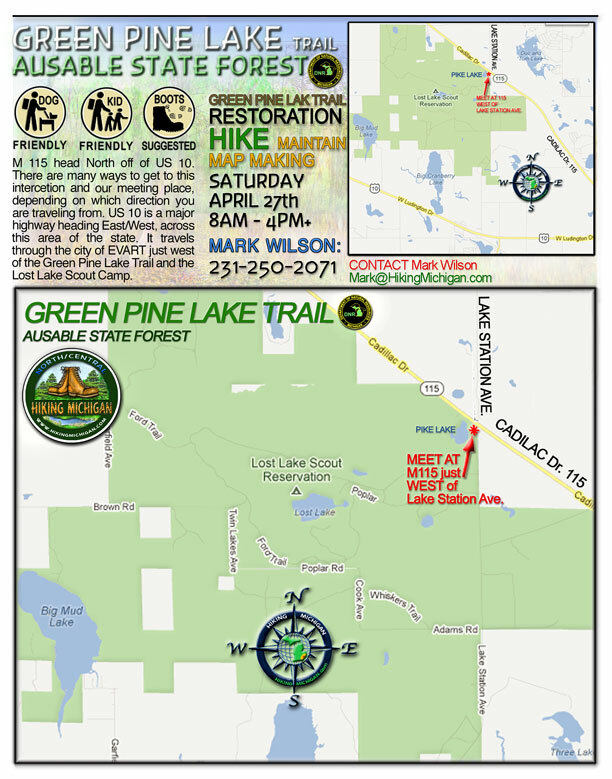 So please come out and join us for Phase 1 of this all summer project of restoring the Trails at Green Pine Lake, During Phase 2, participants will have Free overnight Camping, provided by our DNR, at nearby Mud Lake State Forest Campground. Hiking North/Central Michigan will be providing colored Maps for all participants, and will be working at providing Snacks and Campfire Vittles for future Phases of the project. There is nothing we love more here at Hiking Michigan then when many different groups and Organizations pull together for Nature and to serve ALL the people of our beautiful state of Michigan. We have some special surprises for those who follow through with their Volunteerism on this project, which we will keep private for the time being. 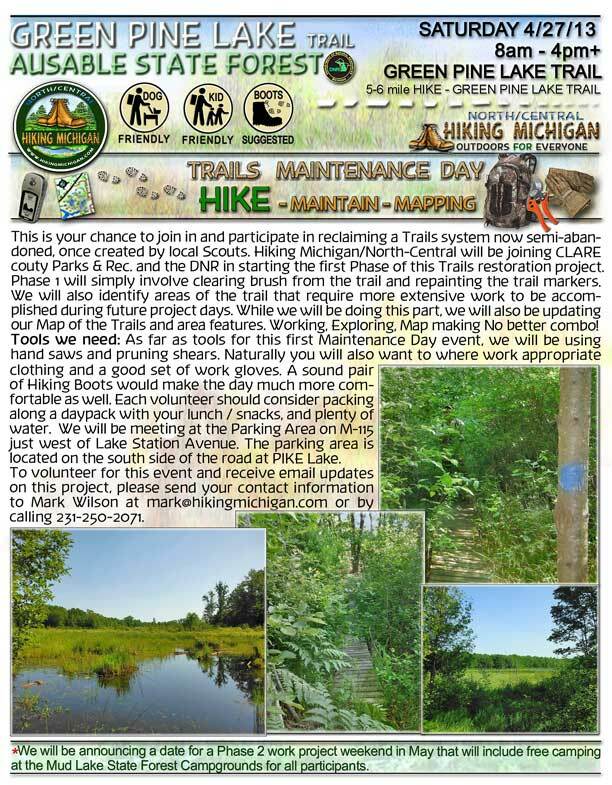 If you are interested in being a part of these work projects, starting with the April 27th starter date, then pleas contact Mark Wilson at: Mark@hikingmichigan.com or call him at: 231-250-2071. Just wanted to wish all you Hiking Michigan people a very Happy Christmas and Merry New year. We had a little slower 2012 Hiking year due to some personal health issues, but things are progressing well now, and hopefully, with a little snow, we will be out on the Trails Snow Shoeing and Sledding. Still looking at breaking the 12 1/2 foot Snowman record as well. Things get pretty hectic around this time of year and we sometimes can easily forget what it is all about. Whether you celebrate Christmas or Hanukkah, or whatever, we all need to take some time, forget the shopping, waiting, frustrations of traffic and work, and just relax for some time with our Families, Friends, and Loved Ones. Life is short and we never know just when our times are finished here on the planet. At least for these couple of weeks each year, lets take some time, Hug our Friends and Families and remember how lucky we are to have our health, have our Loved Ones and know that we are not alone. We hope you all have a great News Years for 2013. Here at Hiking Michigan we have many special outdoor explorations planned for all of you. It should be the best year yet in 2013. We are entering our 15th year in existence and our membership has grown to over 6,000 members. With the new expanded North/Central Group, led by our director Mark Wilson, we hope to become the largest outdoor organization in Michigan in 2013. This is all thanks to you HM members. You have created a warm, friendly and sharing place that absolutely anyone can come and feel right at home out on the Trails, even with complete strangers. That’s YOU who has done that. Not the name Hiking Michigan. It has always been YOU members, doing what you all do best…….share your knowledge and outdoor experiences with everyone. 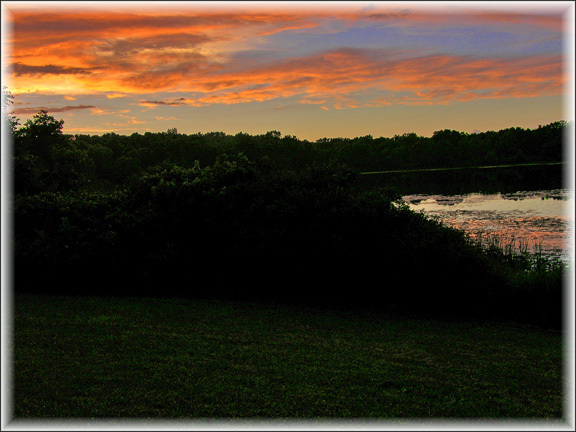 You truly have lived up to our Motto…..”OUTDOORS FOR EVERYONE”. Thank You all, and we will see you out on the Trails in 2013!! Over the last two years, I have become a STATS watcher. What that means is rather then guess at what I think might be happening on the various Hiking Michigan sites, I started looking very hard at the Statistics provided for each of these Internet locations. Big Deal, you say, :-)……….Well ,,,,, it has helped to understand just what you all want to see, read about and join in on for future Hikes and Outdoor Activities. I thought I knew alot about what people wanted in the outdoors. But as I followed the Stats, I learned otherwise. For instance………We have been getting a huge interest in a couple of areas. Birding and Orienteering. Now……I would normally believe these areas to be of interest to many people at Hiking Michigan, but not at the levels that the Stats show. There also appears to be a difference on what the S.E.Michigan based Hiking Group is interested in, and what the North/Central Group wants to see and experience. S.E.Michigan people want an Orienteering Program to get them better acquainted with Compass reading and finding their way around a Map, while the North/Central people want more of a focus on the GPS unit, for a more precise locator of just where they are at. I have been studying these Stats alot this Winter and I am hoping they will help with putting together some well planned and interesting Hikes and Outings come Springtime. Your emails always help too. Then there is also the occasional Survey we put out there. Please take a moment when you see one of these and answer a few questions. No names or detailed info required. Just your opinions and likes & dislikes on Outdoor activities. It all will help in putting some grand Events together in 2013. I wasn’t feeling real good today. Health has been slow and not so good lately. I have become very let down by all the negativity of one of the most important elections of my own lifetime. My Moms own health has been poor, on and off, Had a very painful Doctor visit that seem to last for hours as well. Critters of all kinds getting in the last of their heavy work before the first snows. The last of the Pond life burrowing in or re-securring their Dens. Plenty of Critters coming in for drinks of water or a possible meal at this very busy place. I kinda slid down, half laying down on my back, and mostly disappeared in some low shrubbery. The Knights of Knee would have been proud. It did not take long before I WAS the hillside, and just blended into it all. I placed myself down-wind of the Pond and stream and virtually disappeared into the whole scene. It did not take long before all was forgotten. My mind had cleared, much of the pain had gone…..or at least no longer had my undivided attention, and my focus was being part of my surroundings. Once again, Mom had come through with something simple as just being Mom. This is some of the best Hiking times of each year. Not just for the Fall colors we are so lucky to experience here in Michigan, but because of the many other things also taking place at this time of year. For the critters and Birds that have not migrated for the upcoming Winter season, those that remain here for the cold and snowy months, the Fall season is a time of extreme activities. Storing food for the cold times, putting on fat for the lean food times, making and reinforcing a den or home for the winter months. All this adds up to intense activities. Not only is this a great time for animal and Bird viewing, but it is also an excellent time to observe where the critters are eating and moving around at. 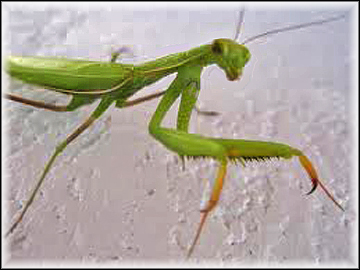 This is important for the Spring and Summer months because when the trees and ground foliage has covered up much of everything, it is hard to track the critters or easily observe where they generally hang out. By observing many critter dens and food sources at this more open woods time of year, it makes it so that a critters general home turf can be IDed. 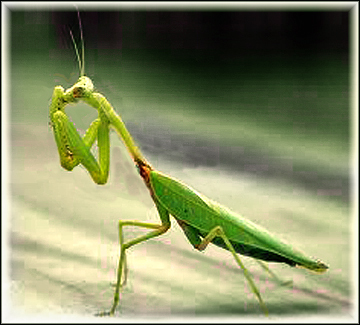 Yes……there are some differences in food patterns and travel from season to season. But like humans, many critters have the well used animal trails and grounds that they become used too, and will frequent through out the years. So……in the middle of Summer, when everything is completely grown over, you can go to a particular area of the forest, stream edge or meadow, and know that there is a Woodchuck den there, or a Mink lare along the river. You may also know what is their most commonly traveled trail, in and out of the home den. So critters that maybe right there in front of you, while you Hike in the Summer, but well hidden in the thick ground foliage, will now become easier for you to spot because you know they are there. You spotted their high levels of activities during these Fall months. This truly works. I have done this for most of my life, and have gotten to the point of naming some of the more regularly spotted critters. 🙂 You may even get lucky enough to watch a single critter and den, turn into the family brood, and then observe the expansion of this species to the surrounding habitats. It is just another way to become part of the forest itself.